Sorry about the break I went out of town for a week and last week I hurt my leg but I’m on the mend now and I’m back. Here is your spoiler warning for everyone who reads these articles. To start off this week I have one of my guilty pleasure books. Charmed #18 is a book based off of the long running TV series. This book is great for any fan of the show it picked up a little after the show. They are really being true to the characters and letting them grow as mothers and wives. This book has recently gotten really good because of the inclusion of Cole and the fact that Prue has been reincarnated. In the last issue the sisters found Prue so it will be amazing to fallout from the sisters meeting again. There is only supposed to be a Power of Three. What will happen now with the Power of Four? So from talking to our customers at the South County location one of the favorite books from the new 52 has been Animal Man. 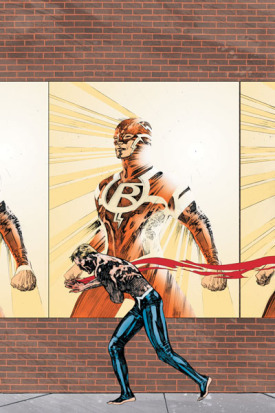 This week Animal Man #6 is coming out and I don’t know about you guys but I can’t wait. While for me sometimes the art during “normal” scenes has left me wanting the story makes up for it ten times over. It’s great to see how his family really interacts and is a part of this book. I’m hoping that the crossover event with Swamp thing will soon come to be. In both books they are fighting the Rot and it will be great to see how the Red and Green can join together to overcome it. The storylines kind of remind me of how Green Lantern brought about the Light Spectrum of Corps in Blackest night and that is one of my favorite stories of all time (So I know why I enjoy this). We left off in both books with the Rot gaining power so I want to see how the Red in Animal can try and fight them off. From Marvel this week I’m excited for Avengers X-Sanction #3. The return of Cable has been a great one for me. I like that this book is taking place in one day with Cable trying to take out the Avengers before they can do something to Hope. This along with Children’s Crusade are what I think will be the Cornerstones of Marvels big event this summer Avengers vs. X-Men. At the end of the last book the other Avengers found where cable was holding some of them and maybe we will find out more about the future through this next issue. This approaching event is starting to feel to me like it could change a lot about the Marvel Universe and shape where that company is going in the upcoming years. The last book I’m excited for is a new series. 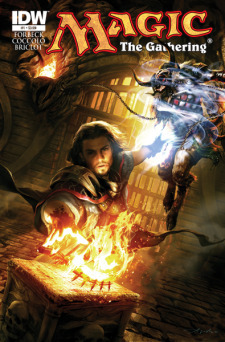 Magic the Gathering has a huge following and it just makes sense to have a book out to help market it more. I just discovered my love of magic last year at our Friday night Magic event we have every week. Since then I’ve always been curious about some backstory to the cards. I really have no idea what this book is about but they have me wanting to know more because of the content. I know we have a lot of magic fans as customers so if you didn’t know about this book, now you do.